Coco Wedding Venues is one of our fave venue directories. We’ve been with Coco since it was first established by owner Emma in 2013, the same year we set up as a new business ourselves. Coco is featuring the lovely woodland wedding of Amy & Nick who got married here at Ever After on a stunning day in August last year. The weather was determined to keep us guessing on the day – you can read more about that here in my post about how at the last minute we fulfilled bride Amy’s dream of getting married outside. You can read Amy’s full report on all the details of the wedding including her vision for her day, why she picked Ever After for her venue and all the deets about her jaw dropping dress. 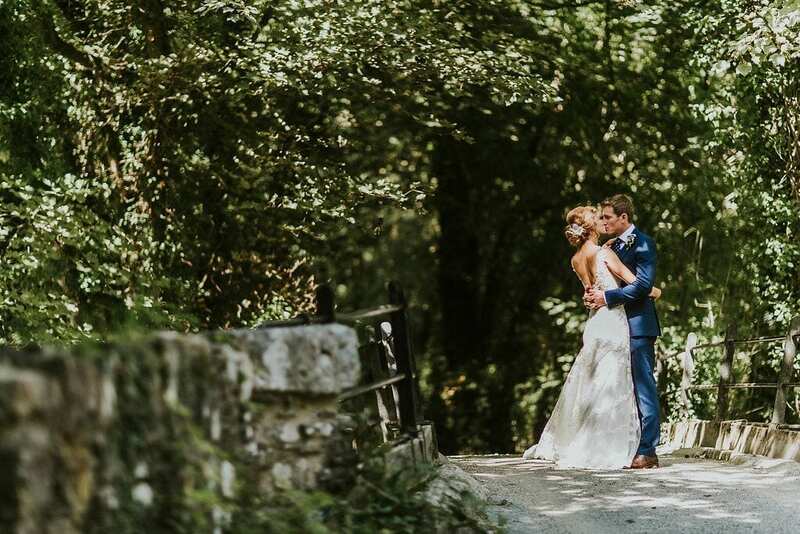 “Having grown up on and around Dartmoor, we knew that we wanted to get married there as it has always been, and still is, very much part of our lives. For me, walking the dogs at Grenofen as a child were very special times. In recent years, I saw the most beautiful garden at Lower Grenofen transformed discreetly into the most incredible wedding venue. When we decided to get married, there was no-where else it could be. Click on the photo below to go over to Coco’s blog post where you can see lots of never-seen-before pics including some great speech pics and those riverside photos by one of Ever After’s fave photographers, Dan Ward.